Monarchical church or People of God? The Maynooth story is symptomatic of the challenges facing the Catholic Church and its future direction. 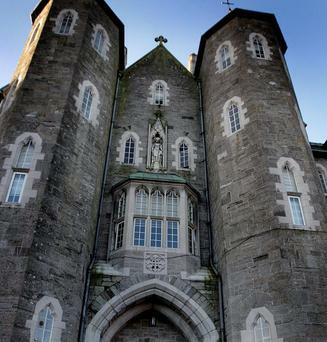 Both Archbishop Diarmuid Martin and Father Brendan Hoban of the Association of Catholic Priests (ACP) have used the same phrase - a "closed, strange world" - to describe Maynooth Seminary. And the fallout is much wider than rumours circulating about inappropriate sexual activities in the Seminary. The secrecy that hovers over Maynooth reflects the lack of transparency in the handling of clerical child abuse. Are the people of God not entitled to know how their future priests are being trained to minister? Those who struggle to remain in the Church are ill served by the current confusion and lack of leadership. The issues of clerical formation and theological orthodoxy in Maynooth form the current battleground between two visions for the future of the Catholic Church in Ireland. The ongoing battle is between those who seek a reform of the institutional Church in accordance with the documents of Vatican II, and those who believe that the way forward is a return to and restoration of the pre-Vatican II model of the Church. The phrase Roma locuta; causa finita est (Rome has spoken; the cause is finished), coined by St Augustine in the fifth century, underpinned a simpler, rule-bound world in which all decisions were taken within the Vatican circle and unquestioning obedience was required of the faithful. Clerical formation took place behind walls, in full clerical garb, uncontaminated by worldly contact. No woman was allowed to teach in Catholic seminaries. The world of a male celibate elite exercising authority and decision-making on behalf of the whole Church was based on a monarchical model of church. Questioning subjects were easily dispensed to outer darkness. Six of those theologians who sought to connect the Gospel message with life included Irish priests such as Fathers Seán Fagan, Tony Flannery, Brian Darcy, Gerry Moloney and Owen O'Sullivan. Vatican II sought a new relationship with the world: more than 2,000 of the world's bishops present supported the 16 documents. It spoke of new understandings: the Church as the whole people of God, including all the baptised, a pilgrim church. It signified the end of the clerical or monarchical Church as we knew it. Many Catholics struggle with such images and prefer the older model of an authoritarian, rule-bound, judgmental Church that had the truth for all time. New insights from the world of psychology, sociology, psychiatry and feminism were, and continue to be, unwelcome. Restoration to the past order and certainty on all matters is their preference. The rebuking of students in Maynooth for their "theological rigidity" highlights the tensions between pre- and post-Vatican II visions of the Church. A fundamental question about ministry in the 21st century needs to be addressed. The needs of the community require different ministerial structures reflective of the diversity of all the baptised - women and men, heterosexual and homosexual. The diminishing numbers in Irish seminaries powerfully reinforce this fact. This is not to deny the tremendous contribution of so many priests and religious who have devoted themselves to ministry in parishes, schools, hospitals and other parts of civil society. It might be helpful to remind ourselves that the beginning of the Jesus movement was priestless. Jesus was accompanied by women throughout his public ministry. Women remained at the foot of the cross, he gave them the mission to spread the resurrection message, bread was broken in house churches run by women. There was a radical equality of all, no Jews or Greeks, no slaves or free, no man or woman - all were one in Christ. The gifts of all served all. The notion of 'priest' did not emerge until the fourth century, after the Christian church carried out a reverse takeover of the Roman Empire, which subsequently became known as the Holy Roman Empire. What began as a gathering of people became a powerful bureaucracy with a professional hierarchical priesthood. A more diverse ministry would better serve the Gospel in the 21st century. A ministry should include married men and women, optional celibacy and a male and female diaconate. Pope Francis has shown leadership in his decision to establish a commission to study the possibility of women deacons in the Catholic Church. The commission, which has equal numbers of men and women, includes American scholar Dr Phyllis Zagano, who has long championed the ordination of women as deacons. She has spent many years researching the role of women and deaconesses in the early Church. Her historical knowledge, and her scriptural and theological understanding of the role of women in the early church communities and the presence of women deacons is incontrovertible. Father Gabriel Daly, in his book 'The Church Always in Need of Reform', reminds us that those who want to remain have "an arduous task". A fresh examination of ministry and ministerial formation for the new century is not only necessary, but would be a welcome beginning.